Ron Lepin founded Bastion in 2012. Ron has over 20 years of experience in infrastructure and over 15 years of principal investing experience. Prior to forming Bastion, Ron founded, built, and led OTPP’s direct infrastructure program, Teachers’ Infrastructure Group (“TIG”) – one of the first to adopt the infrastructure asset class and the direct investing approach. Prior to Bastion, Ron was Managing Director and COO of the $4 billion MSIP fund. At MSIP, his responsibilities included leading the investment and asset management teams. Ron was previously Senior Vice President and Director at PricewaterhouseCoopers Securities where he led and advised a number of governments and companies on privatizations and project finance transactions. Kevin Kerr joined Bastion in 2013. Kevin has 20 years of experience in financial services and over 15 years of principal investing experience in infrastructure. He spent over 13 years at OTPP in various roles and along with Ron Lepin, Managing Partner of Bastion, was a founding member of TIG. From 2008, Kevin held the role of the Global Head of Transactions for TIG with a portfolio of assets worth over C$10 billion. Prior to joining Bastion, Kevin was Senior Managing Director at OMERS Strategic Investments (“OSI”), where he was responsible for the development, execution and management of key strategic investments. Wael Elkhouly joined Bastion in 2013. Wael has over 25 years of infrastructure experience in various industrial and financial capacities, having previously assumed the roles of engineer, asset manager, principal investor and advisor. 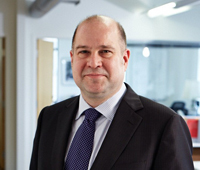 He brings a wealth of industry knowledge and an understanding of asset ownership and operation, combined with strong experience in investment and finance. Prior to joining Bastion, Wael was the head of asset management at EISER, where he led a team that managed a diverse portfolio of European and Australian assets across the utilities, transportation, energy and social infrastructure sectors. Corey Schneider joined Bastion in 2017. Corey has over 20 years of experience in financial services including over 12 years of global principal investment experience investing in infrastructure and energy equity and debt opportunities, as well as 2 years investing in public equities. Prior to joining Bastion, he was with GIC as a senior vice president in their infrastructure group, responsible for originating, underwriting, managing and selling equity infrastructure investments within their global portfolio. 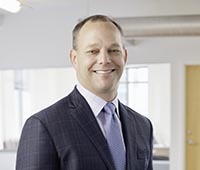 Previous to this, Corey spent nine years at GE Capital in their underwriting and risk group, where he led teams making equity and debt investments in the energy sector primarily in North America and also in Central and South America. Lindsay Caldwell joined Bastion in 2013. 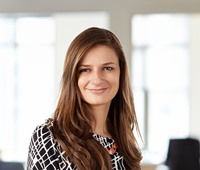 Lindsay has over 10 years of principal infrastructure experience, including 7 years at Borealis Infrastructure (“Borealis”), the direct investing arm of Canadian pension plan, OMERS. Lindsay was part of the investment team that completed numerous transactions totaling over $10 billion spanning a range of regulated and unregulated industries. She also worked on asset management at two of Borealis’ energy assets. Andreas Prucker joined Bastion in 2016. Andreas has over 10 years of global principal investment and advisory experience across infrastructure, energy and mining sectors. Prior to joining Bastion, he was with LeighFisher as an associate director in their Canadian infrastructure advisory group, leading advisory mandates across the Americas. 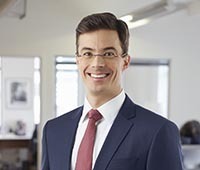 Previous to this, Andreas was at Siemens Financial Services, based in Germany, as an investment manager in their global equity investment group, executing investments in infrastructure and energy assets. 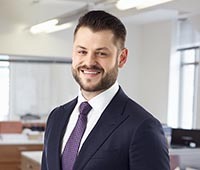 Andreas also worked in Canada and the UK with Mott MacDonald as a financial analyst on the energy advisory team and project team leader on infrastructure project procurements. Mike Kuratczyk joined Bastion in 2017. Prior to Bastion, Mike spent five years as an investment banker at RBC Capital Markets in the New York and Toronto offices. He was involved in a number of M&A, equity and leveraged financed transactions across infrastructure verticals including regulated utilities, merchant generation, district energy, ports, and parking. 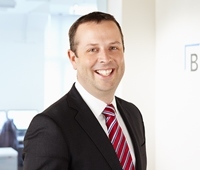 Prior to his career at RBC, Mike spent three years in the assurance and advisory practice in Deloitte’s Toronto office. Mark Macchia joined Bastion in 2015. 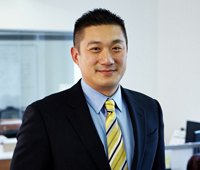 Prior to joining Bastion, Mark was an associate in the finance team at SkyPower Global. Mark was responsible for building project finance DCF models and performing financial, valuation and industry analysis. He supported the finance team in modelling all projects for RFPs and bilateral proposals. In addition, Mark was involved in debt compliance for operating assets. Jeffrey To joined Bastion in 2016. 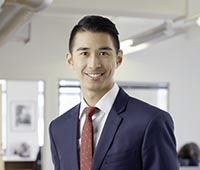 Prior to joining Bastion, Jeffrey was part the investment team at Kensington Capital Partners and was involved in analyzing and sourcing infrastructure equity investments. Lawrence Tjan joined Bastion in 2012. Lawrence has over 20 years of accounting, finance, compliance and information systems experience. 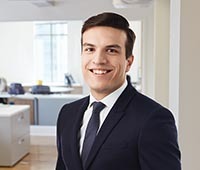 He oversees the finance, operational, compliance and administrative functions of the firm, as well as supporting the Investor Relations and Asset Management teams. 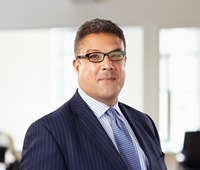 Before joining Bastion, Lawrence was a strategic consultant to various private equity and venture capital firms, including Birch Hill Equity Partners and Northleaf Capital Partners.